Congratulations Andrea Fletcher! Andrea is the first winner in our Stop and Go To Talledega Contest. Within 17 seconds of announcing the contest start, Andrea flashed her vehicle lights at The Mix truck and was rewarded with over $600 worth of tickets to three days of races at Talledega Speedway. 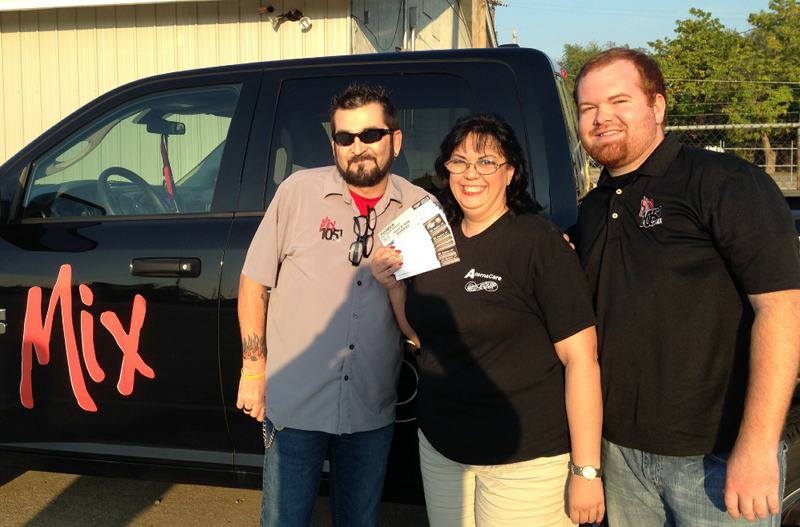 Andrea is pictured above with Boyce Rogers and Kyle Garner from The Mix 105.1. 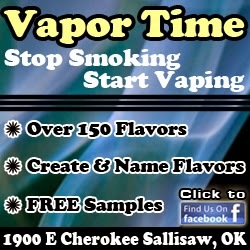 The Sallisaw Police Dept., Sequoyah County Sheriff's Office and Vian Police Dept. are currently searching for an individual suspected of being involved in a shoplifting incident in Sallisaw. According to reports, an unnamed Sallisaw business was hit by shoplifters who fled while being chased by authorities. The three suspects left Sallisaw heading toward Vian driving a gold Dodge Neon on Interstate 40. After exiting at the Dwight Mission exit they reportedly drove west on Hwy 64 until reaching the bridge construction area. Two of the three were apprehended while the third suspect fled on foot heading toward Vian. Sources have stated that a K-9 unit is being called in to help in the search for the suspects. According to Sheriff Ron Lockhart the suspect that they are looking for is a male and is believed to be in the area east of Vian. Sallisaw Police are awaiting the report from the state medical examiner on the cause of death of a man and woman whose bodies were found in a Sallisaw residence shortly after 7 p.m. Sunday. Police Chief Terry Franklin said police are also awaiting a positive identification before releasing the names of the deceased, so that their families may be notified first. Sample ballots are now available at the Sequoyah County Election Board office in Sallisaw. 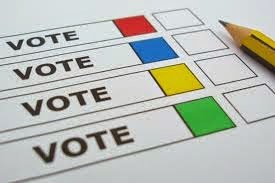 Voters who want to get a preview of what will be at stake in the Nov. 4 general election may see the sample ballots at the office at 110 E. Creek Ave. during regular office hours, from 8 a.m. to 4 p.m. Cindy Osburn, election board secretary, said sample ballots will also be posted outside every precinct polling place on Nov. 4 so that voters can review them before casting their votes. 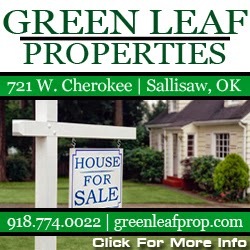 At approximately 7:05 p.m. the Sallisaw Police Department received a phone call requesting a welfare check be done at a residence on Maple Street. Upon arriving at the home police officers found two deceased individuals, according to Sallisaw Police Chief Terry Franklin. The cause of death and the victims' names have not been released at this time. 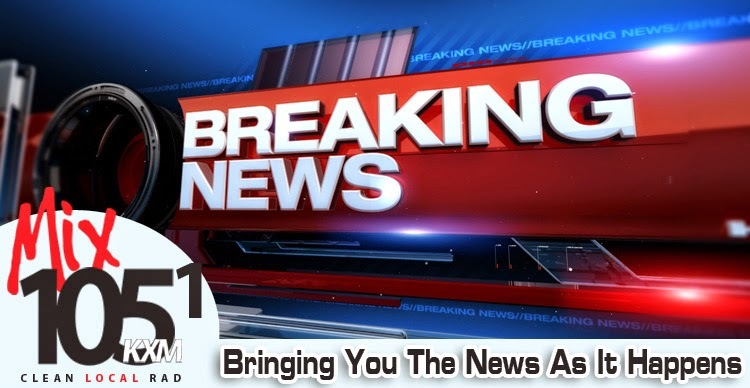 However, authorities have confirmed that the victims include one female and one male. Franklin stated that the Oklahoma State Bureau of Investigation has been contacted to assist. 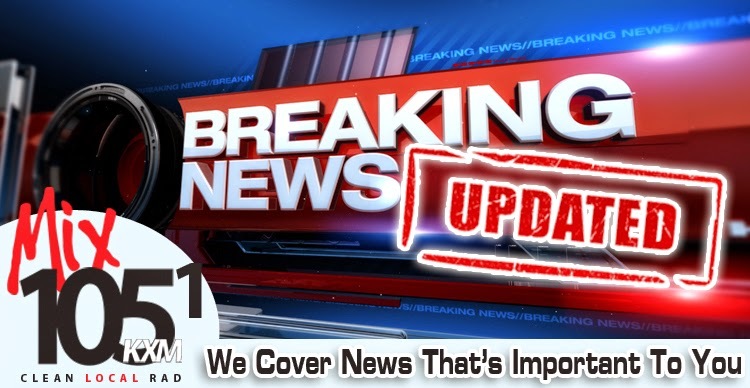 We will continue to bring you details as this story develops. 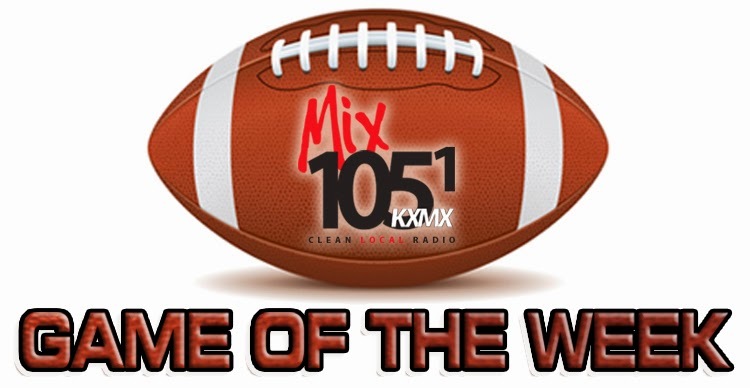 Be sure to tune in for tonight's Game of the Week as Roland vs. Spiro. Both teams are currently undefeated in District 3A-8. 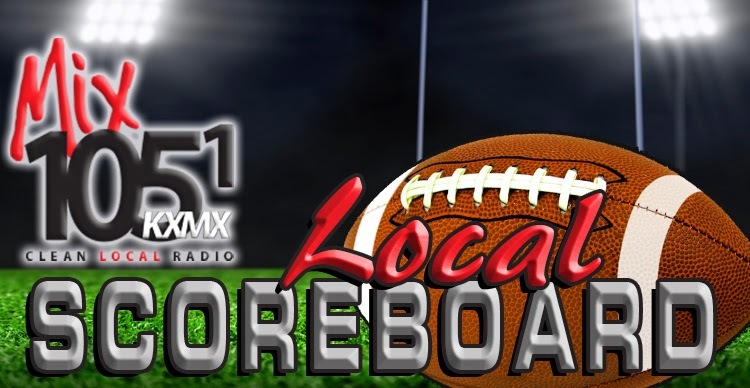 Join Kyle Garner, Chris Berton and Levi Thomas as they bring you live play-by-play action. Pre-game starts at 6:50 p.m. and kick-off is at 7:00 p.m.
October 10 is the last day to apply for voter registration in order to be eligible to vote in the November 4 general election, Sequoyah County Election Board Secretary, Cindy Osburn, said this week. Osburn said that persons who are U.S. citizens, residents of Oklahoma, and at least 18 years old may apply to become registered voters. 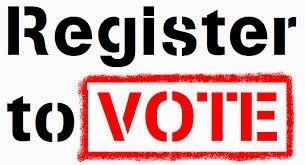 Persons who have never been registered to vote before or who are not currently registered in the county of their residence and persons who are registered but who need to change their registration information may apply by filling out and mailing an Oklahoma Voter Registration Application form in time for it to be postmarked no later than midnight Oct. 10. Osburn said that applications postmarked after that time will still be accepted and processed, but the applications will not be approved until later. The county election board responds in writing to every person who submits an application for voter registration. The response is either a Voter Identification card listing the new voter's precinct number or polling place location or a letter that explains the reason or reasons the application was not approved. Osburn said that any person who has submitted a voter registration application and who has not received a response within 30 days should contact the election board office at 110 E. Creek St. in Sallisaw. Voter Registration Application forms are available at the election board office and at most post offices, tag agents, and public libraries in the county. At approximately 4:15 p.m. yesterday, a man in Moore, OK allegedly beheaded a woman during a work place dispute and attempted to kill another woman according to Moore Police Sgt. Jeremy Lewis. 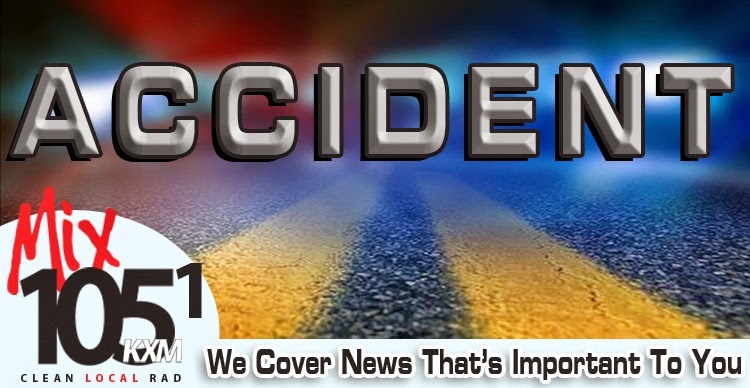 The incident took place at Vaughan Foods industry located in Moore. The suspect has been identified as Alton Alexander Nolan, 30. According to Sgt. Lewis, Nolan had recently been attempting to convert co-workers at Vaughan Foods to Islam. Nolan was terminated from Vaughan Foods yesterday shortly before the incident. The attack ended when Nolan was shot by Mark Vaughan. Vaughan is the owner of Vaughan Foods as well as a reserve county officer. 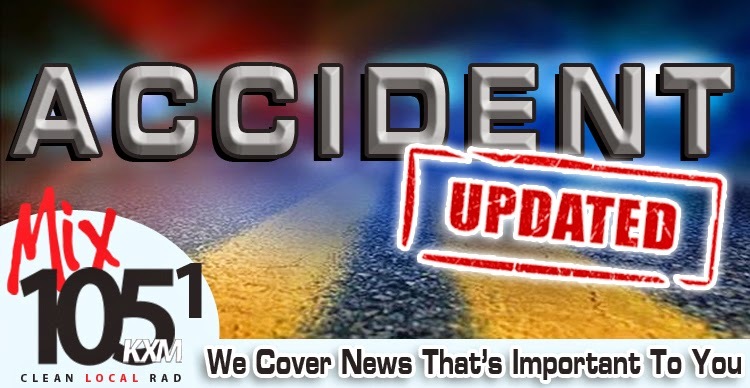 Both Nolan and the surviving victim were taken to an area hospital and are reportedly in stable condition. According to the Moore Police Dept. they have asked the FBI to investigate the incident and look into the suspect's background. 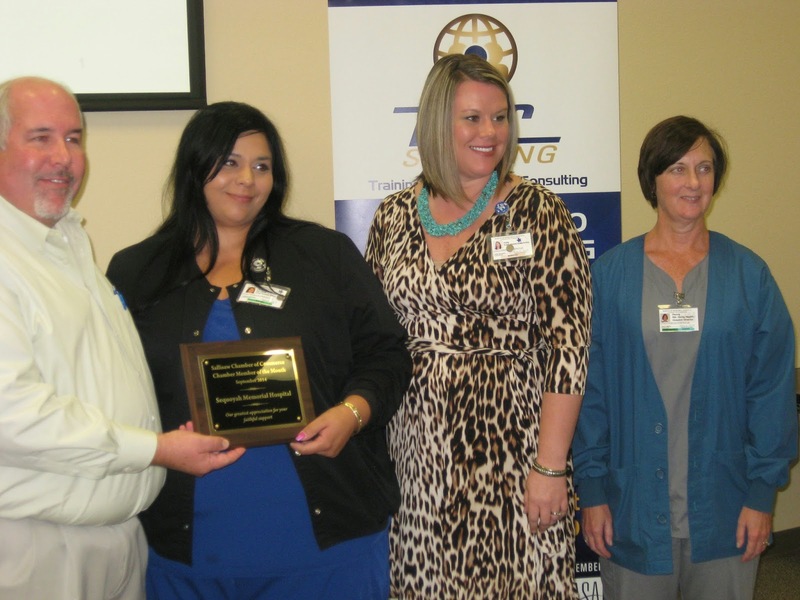 Sequoya Memorial Hospital in Sallisaw was named the Sallisaw Business of the Month at the Chamber's monthly membership meeting, held at the People Inc. Conference Center. Darren Girdner of KXMX, The Mix 105.1, standing in for chamber president Gary Winton who could not attend, presented the hospital with a plaque. Accepting are, from Girdner's left, Ozalena Martinex, RN and CNO, Holly Martens Bormann, the hospital's director of public relations, and Penny Martin, RN, director of the hospital's hospice. Donna Meek, from Staff One, which provides Human Resources services to businesses and industries, reviewed the new 854 regulations and industries will have to comply with under the Affordable Care Act. The Cherokee Nation donated $3,000 Tuesday to the Sequoyah County Fair Board, which will help buy trophies and ribbons for winners at the annual county fair. At the presentation are, from the left, above, Sequoyah County Fair Board members Tony Yates, Avis Jackson and Bill Weedon, Cherokee Nation Principal Chief Bill John Baker, and Tribal Councilors Janelle Fullbright and David Thornton. 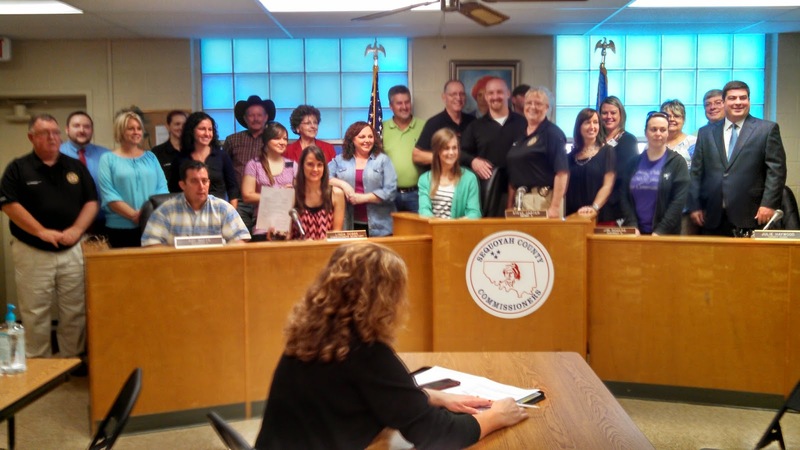 Baker said, "We are committed to ensuring our partnership with Sequoyah County remains strong. Supporting the county fair board means it can continue to maintain the Sequoyah County fairgrounds so that all citizens will be able to utilize and enjoy them." The donation will be used for 4-H club and other kid-friendly activities and organizations. Bill Weedon, Sequoyah County Fair Board member, said, "Any help we receive from the Cherokee Nation is always very much appreciated. We have a large number of Cherokees in our county, and the tribe's donation helps our fair board and kids in a number of ways." 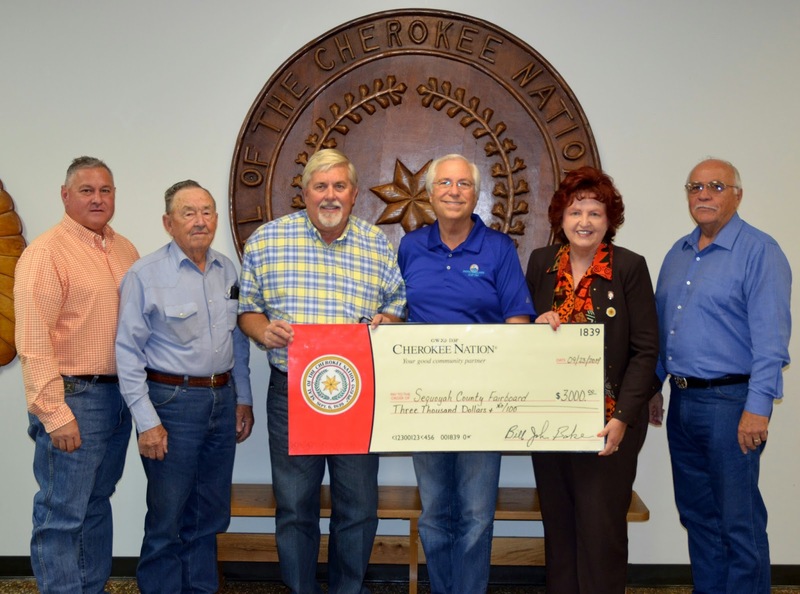 The Cherokee Nation annually donates money to fair boards in all 14 counties of the tribe's jurisdiction. 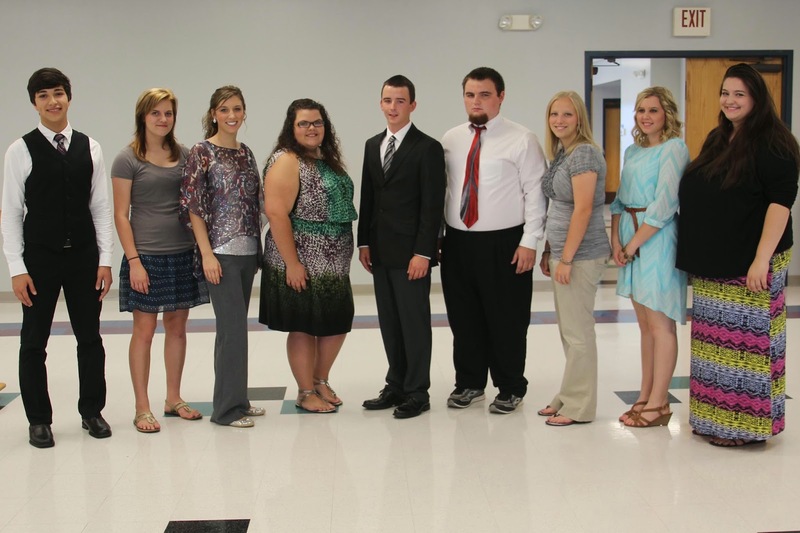 The Student Government Association at Carl Albert State College recently swore in new officers. They are, from the left above, Sophomore Senator Blakey Palafox from Roland; Freshman Senator Brook Youngblood from Watson; Treasurer Hannah Beams from Howe; President Josh Blake from Watson; Freshman Senator Stephen Wemmerus from Howe; Sophomore Senator Emily Hughes from Shady Point; Press Secretary Hannah Franklin from Stigler; and Parliamentarian Aubree-Ana Garrett from Sallisaw. Not pictured are Vice President Ronnie Joe Killion from Heavener; Secretary Shelby Lowe from Watson; Sophomore Senator Garrett Spradley from Stigler; and Sophomore Senator Kaylea Goldman from Poteau. Political Forum Tonight at 6:00 p.m.